Tours to India welcomes you to dive into a land rich in cultures, heritages, and passions. Indulge your senses with the sights, smells, and sounds of the everyday Incredible India. Awaken to the scent of freshly brewed chai masala tea, and enjoy the ebb and flow of one of the many countless rivers as you sail away like the once powerful Maharajas. 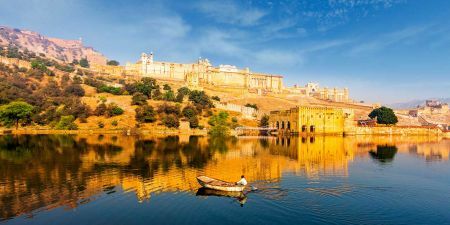 Go from Mumbai; the Golden Triangle of Delhi, Agra, Jaipur in the north; Udaipur, Jodhpur, Jaisalmer, Bikaner in Rajasthan; to Cochin, Kerala, Thekkady, Madurai in the south. Browse our impressive itineraries and choose one of our tours to India that suits your needs. Memphis Tours will make your trip a memorable one! Sail the meandering backwaters of the Kerala. Explore the national park of Periyar the Tigers Reserve, filled with wildlife of many varieties. Tour the city of Kochi. Book your Kerala Tour Package to Let us take you Into the Exotic from Kochi to Kerala! Enjoy a private tour to India and visit the magnificent cities of India: Delhi, Agra and Jaipur. With one of the most amazing tours to India, embark with the beauty of Taj Mahal, visit the famous monuments of Jaipur, and explore the magnificence of Agra! Head to Varanasi and discover Bharat Mata, more. Delhi Agra Jaipur Tour Package takes you around three of India spectacular cities. For the entire 7 days, you will explore India's most significant landmarks. With tours to India, Rajasthan Tour Package is a journey throughout the Land of Kings as you explore The Taj Mahal of Agra, the Amber Fort of Jaipur, the White City of Udaipur and more from the 6 cities of Rajasthan. Let India make you feel like royalty by this North India Tour! This North India Tour Package covers the best tourist destinations across India. It will be a reflection of the Rajasthani culture by visiting Red Fort and Jama Masjid in Delhi, Taj Mahal in Agra, the City Palace and Hawa Mahal in Jaipur, the Ganga Aarti of Varanasi, the temples of Khajuraho, and more! Palaces, Taj and Tigers is one of the North India Tour Packages that will give you the chance to see the tigers up close as you explore Ranthambore National Park. Book your unique Delhi Agra Jaipur Tour to marvel the magnificence of Taj Mahal and witness Jaipur Temples! Enjoyone of the best tours to India and go through India from North to South. Go around three of India's most magnificent cities. Embark with the beauty of Taj Mahal, visit the famous monuments of Jaipur, and explore the magnificence of Agra! Then head to Kerala, as you laze around with views of swaying palm trees and the sounds of nature as your orchestra. 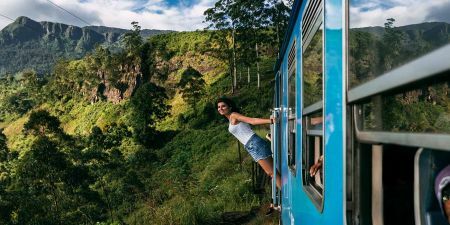 Beyond the many stone walls of Cochin, along the backwaters of Kerala, across Thekkady, around the Lotus city of Madurai and deep into the heart of the South of India are many secrets just waiting for you. Take this South India Trip, one of the richest India travel packages to discover the secrets of South India. Make your Rajasthan Tour exceptional through one of our tours to India. Give Memphis Tours a chance to make you discover the famous cities of Rajasthan which are desired to be visited by every tourist coming from abroad. We have designed 13 Days Rajasthan Tour Package to explore the havelis, palaces, and forts along with beautiful Taj. Embark on a trip to South India and enjoy a rich heritage ethnically and culturally distinct from that of northern India. Palm-fringed seashores, fertile rice fields, upland tropical forests, intricately carved temples and calm ocean lagoons complete the picture.